Eight weeks after its release, Marvel Music and Hollywood Records‘ Marvel’s “Guardians of the Galaxy Awesome Mix Vol. 1″ soundtrack has been certified gold, selling more than 500,000 copies. Meanwhile, Marvel’s “Guardians of the Galaxy” movie has earned more than $630 million worldwide and recently passed the $300 million mark at both the domestic and international box offices. “Guardians of the Galaxy” opened Aug. 1 in the U.S. with $94.3 million, becoming the biggest August debut of all time and ultimately the biggest August release ever. It’s also the highest grossing film of the year and the first to surpass $300 million in 2014. After becoming the 10th straight Marvel Studios film to open at No. 1, “Guardians of the Galaxy” occupied the top spot in the U.S. at the box office for four of its first six weekends in release. 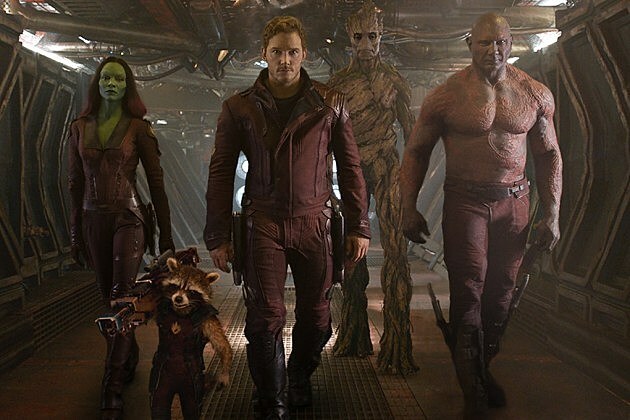 Marvel’s “Guardians of the Galaxy,” which first appeared in comic books in Marvel Super-Heroes, Issue No. 18 in January 1969. stars Chris Pratt, Zoe Saldana, Dave Bautista, featuring Vin Diesel as Groot, Bradley Cooper as Rocket, Lee Pace, Michael Rooker, Karen Gillan, Djimon Hounsou, John C. Reilly, Glenn Close and Benicio Del Toro. James Gunn is the director of the film with Kevin Feige producing. On Sept. 16, Marvel Music and Hollywood Records released a vinyl edition of Marvel’s “Guardians of the Galaxy Deluxe” soundtrack.